News (1/1): A very happy new year to you all. | Added my lifestreams page. Last revised: 25 June 2009. Please contact the desginer from [this page](http://taqumidesign.jp/contact/). 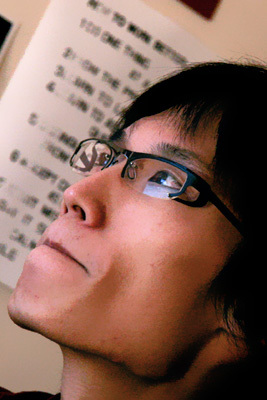 Or you can check his other activities from [this page](http://taqumidesign.jp/lifestreams/). I am strongly interested in; anthropological, social, emotional, ethnographic elements in design (=broader sense of interactions); ever growing fusion of software and hardware; design as a communication medium and lifestyle proposition. Been through different international environments, I am eager to apply my knowledge and skills in industrial design into different and broader contexts of people’s life. All design on the website are so far concept design with or without prototypes therefore not available for purchase. However I am always on the look for any manufacturing opportunities, so please get in touch with me through the [contact page](http://taqumidesign.jp/contact/) if you are interested in my design. Thank you. 2009 version on the way. Oct 2004 – June 2008: Graduated from Industrial Design and Technology (BSc) at Loughborough University, UK with one year work placement at NOKIA. Sep 2001 – May 2003: Gained scholarship and studied Math, Art and Design Technology as the Higher Subjects under International Baccalaureate at the United World College of Atlantic, UK. January 2006: As a team of four, designed a new tabletop advertisement fixing solution for Zest Promotions in less than two weeks. – Basic interactive prototyping with electronics, including use of Arduino with various I/O components and computers. – Basic machining including milling, lathing, grinding, tapping, basic CNC coding etc. Often in my free time, I drop in by a music room in my university and play and improvise on mainly blues, jazz tunes on the piano. Being able to do so never was a ‘proper’ learnt skill for me,but instead it is a result of learning from and jamming with my college friends competent in jazz. More detailed information or references available upon request. It is highly recommended to view this site using modern browsers such as Firefox, Safari or Opera.